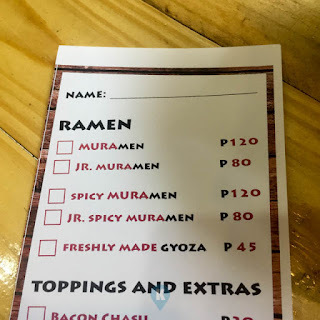 MuRamen or MURAmen, either way you dice it, it just means just priced right for a near true japanese ramen experience. When I say true japanese ramen experience, this means you will be partaking in a ramen journey towards not shoyu ramen, but the collagen spiriting away from the bones broth kind of ramen. 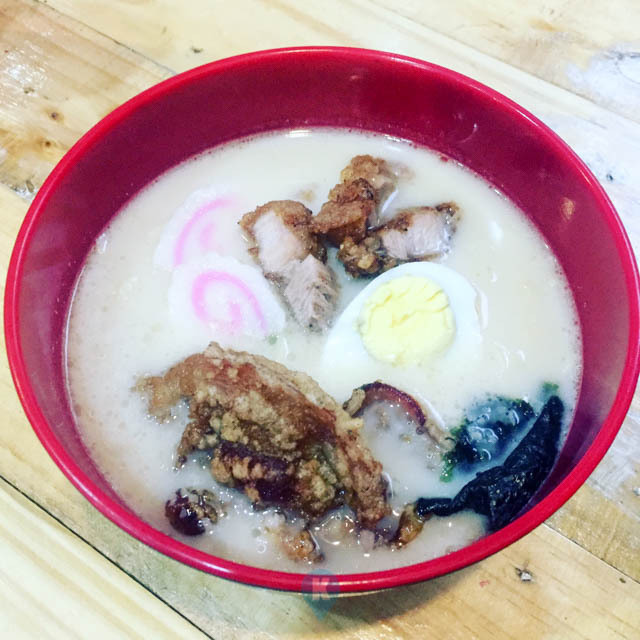 The kind of ramen broth that is prepared by boiling bones of chicken, or pork or beef or a mixture of these for 24 hours. Breaking down the little bits of meat and the collagen inside them through constant heat. This breakdown gives the milkish white look and the savory texture of Muramen's broth. 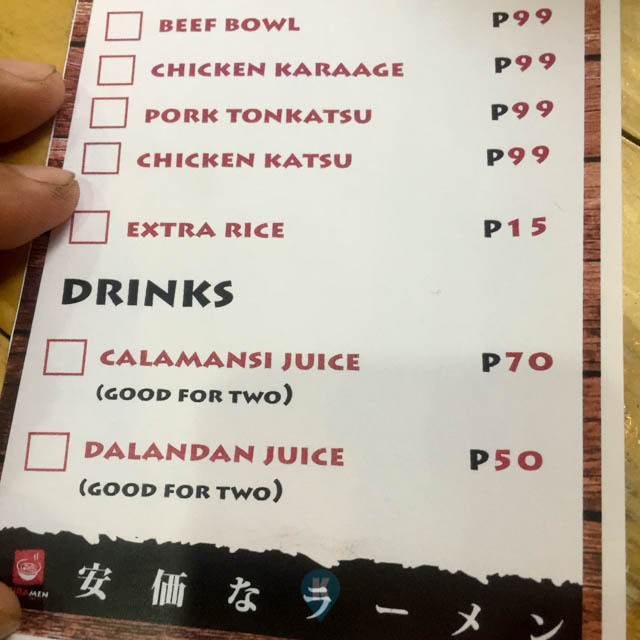 Some guy (okay a friend of mine) told me about a little place on Camia Street along JP Rizal in Makati, that serves this kind of broth in their ramen. 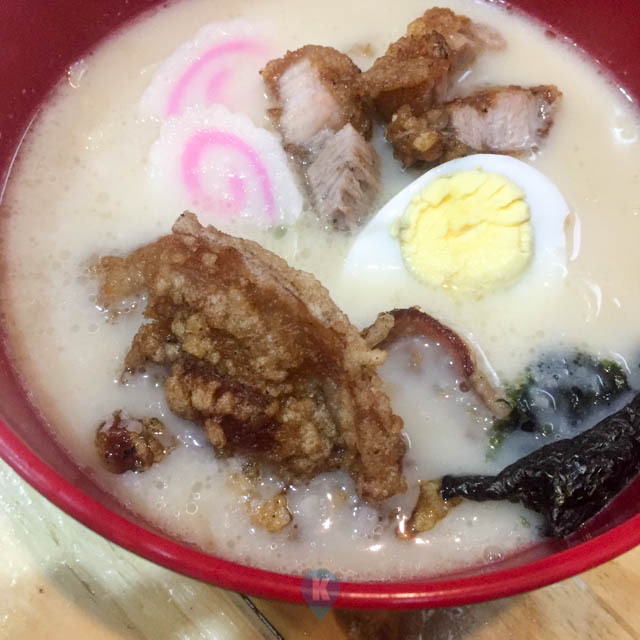 This writer is a fan of ramen and seldom does this kind of broth is being served at a reasonable price. Usually this kind of ramen broth is only catered by the higher end of japanese restaurants. Take note of this entrance. Now on with Muramen. Their shop is so quaint and dainty that I missed their store literally. I was on my bike looking for this place I passedby their place twice without noticing them. Their signage is so cute and with cars parked upfront, it obscured the view to the store's entrance. So when you traverse JP Rizal towards Guadalupe, Camia Street is the one just before the small bridge, immediately right after the big condominium construction (this was written August 11, 2017 so if you are reading this a year after, then the building have been finished), thats Camia Street, then turn right. 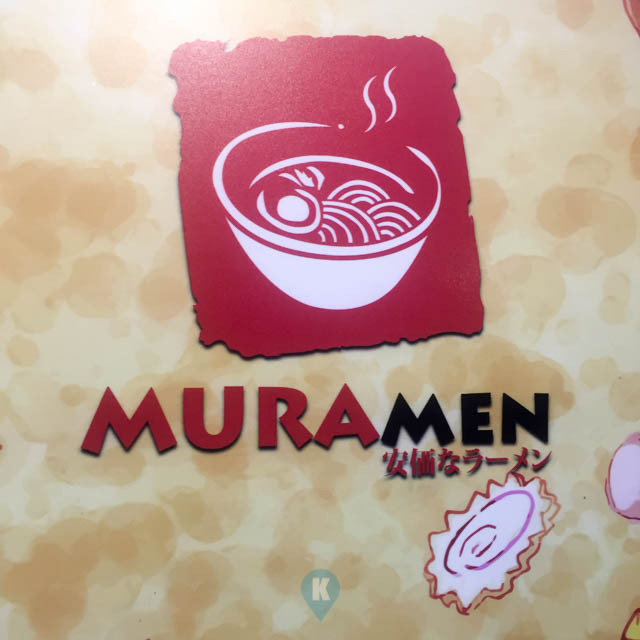 Count 3-4 shops on your left, you will find Muramen. Now going over their menu. Nothing to think about, they only served one kind of ramen noodle, one kind of broth. 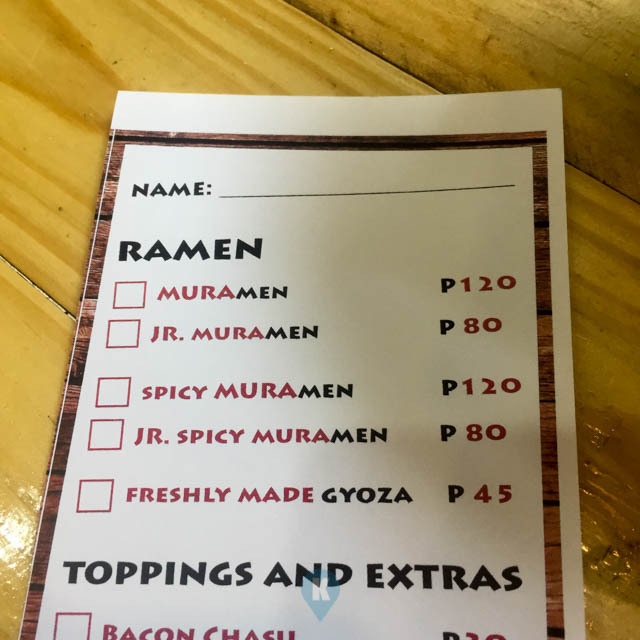 Just choose between the Regular or Spicy Muramen Php120 and the Jr Muramen Php80. The Jr is the smaller one. If you don't eat a lot, stick with the Jr. Next thing to choose are the toppings. 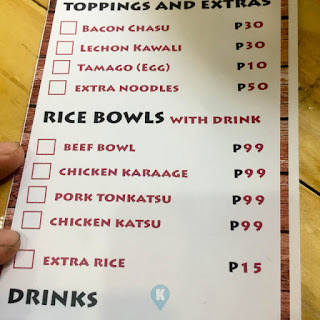 Simply add on the Bacon Chasu, Lechon Kawali (? ), Tamago or extra noodles for added flavor. Then thats it. 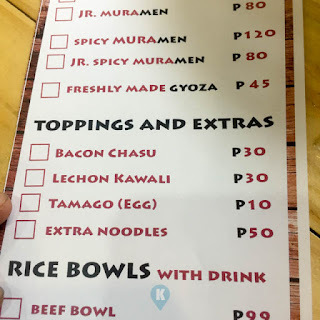 For our dining experience, we got all the toppings on the Muramen. Big mistake. It was so huge, (not literally) but since I was on a diet for the past week, the serving was big for my sake. I had to stay longer at the store to while away my fullness. This is not a BAD thing. This is a GOOD thing. This means I love the broth so much, it went well with the noodles and the toppings. I didn't order any drinks to go with it and simply stuck with water. I don't want to dilute or drown the taste of the broth. I want to simmer it a little bit more inside my mouth, coating my tongue with it. The broth did it for me. 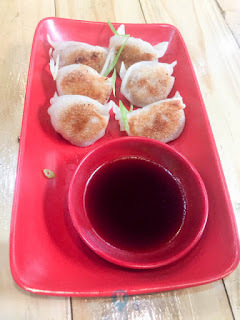 The owners served me Gyoza and it was fine as well for the price point at Php45. 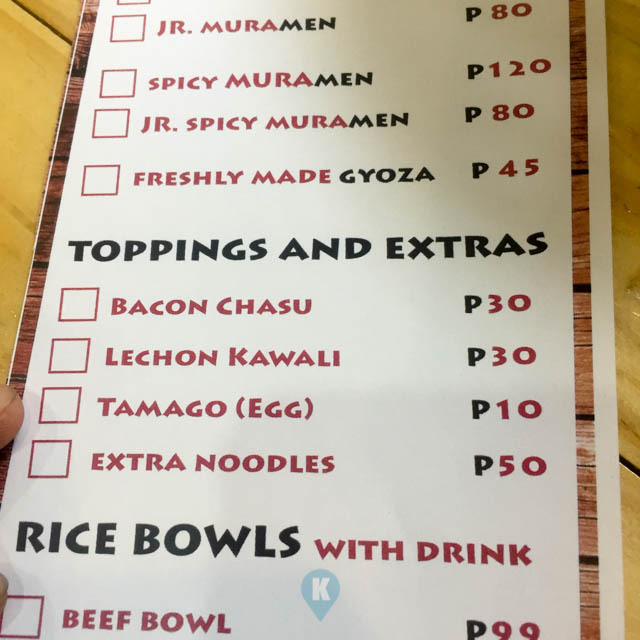 Imagine a plate of gyoza for Php45!!!!! Although its a teeny weeny gyoza, what it lacks in heft it compensates with flavor. 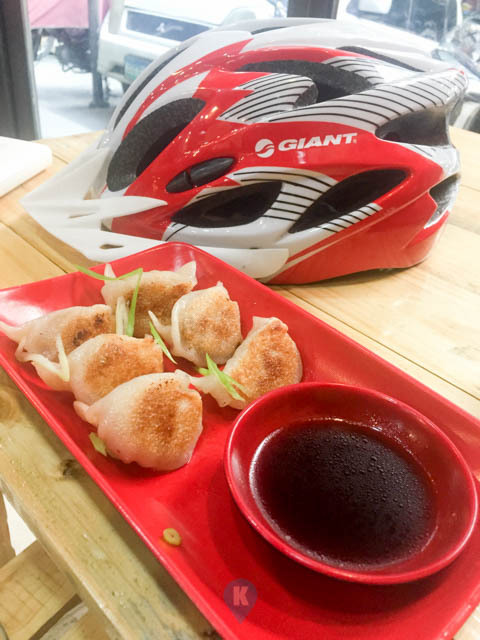 Enough talk, just eat. 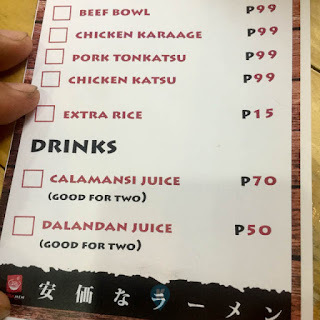 Overall, I paid for less than Php300 gross for the ramen and gyoza and there were two of us eating that time. Not bad for a great tasting japanese meal experience. For those who yearn for rice, they also serve toppings. Maybe we will try those when we do go back there. 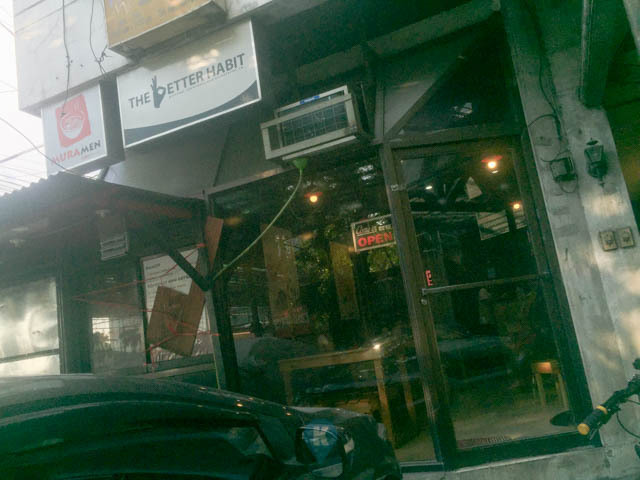 As of now they only have this branch in Makati, and the other one is located in Recto Avenue. For more details on their menu items, simply contact them via their facebook page here. Thanks to the owners for the wonderful time they spent with us whilst preparing our meal and we hope to see them soon enough.